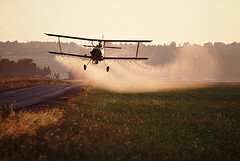 Pesticide use in the U.S. has been skyrocketing. That is startling because farmers are using more and more pesticides on GMO corn fields. GMO are Genetically Modified Organisms whose genetics have been altered by biological man-made engineering. GMO was invented to reduce levels of spraying harmful chemicals on some of our major crops like corn and soybean. Mother Nature has upped the ante on Monsanto by allowing insects to circumvent genetic alteration and go back to chowing down on the crops. This will set the marketing department at Monsanto into a frenzy of activity trying to spin a new story on the benefits of their outrageously priced seeds. Renovating Your Mind comments that corporations are out of touch with the environment. Society needs more grounding to Mother Earth. We must continue to increase progress of getting back to organic farming. These GMO crops were never proven to be safe. How can you tell if something is truly harmful if it was only “supposedly” tested on a short-term basis? Government agencies allow this modification process even though the results are from the same companies that profit from the GMO patents. Why is it that we can take decades of rhetoric on term limits, straight tax with no deductions, marijuana, etc. and still not listen to what the American People want in their own country. How can corporations like Monsanto rapidly change the “nature” of our food supply just by supplying biased data to the DA (Department of Agriculture) and EPA (Environmental Protection Agency). Where is our say to whether we want GMO or not? 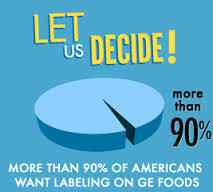 GMO is something that many people do not want pushed down their throats. Europe doesn’t want GMO crops. Whole Foods is working with their suppliers to stop selling GMO foods. Trader Joe’s and Aldi’s are moving towards all non-GMO foods. 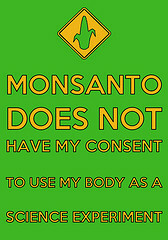 Monsanto is the leading company that designs, markets, sells and enforces the rights to grow “their seeds.” In fact, the U.S. Supreme Court recently ruled that farmer, Vernon Bowman was not allowed to re-plant seed that had been purchased by Mr. Bowman from another farmer. The modified seed genes are owned by Monsanto and can only be planted once. Any future seeds coming out of the initial crop must not be replanted or sold. Each season you must buy new seeds from Monsanto which charges double on what the current market price is for regular non-Monsanto seeds. Mr. Bowman purchased seeds that were a mix of both GMO and non-GMO. Monsanto claimed he infringed on their patent. 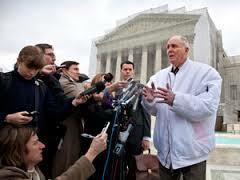 The Supreme Court agreed with Monsanto. The kicker is that Monsanto will load buyer’s seed grain elevators mixing their GMO seeds with non-GMO seeds already in the elevator. These are the mixed seeds that Vernon Bowman purchased from his neighbor’s farm. At that moment, since the seeds cannot be separated, Monsanto assumes rights to all those seeds in the elevator. Next, when the farmer plants the GMO seeds and the plant’s seeds blow over into a non-GMO farm, Monsanto immediately inherits the rights to all the nearby farm’s seeds. So even though the neighboring farm did not purchase Monsanto GMO seeds, Monsanto can sue the farmer if he plants a second generation of those seeds. The only vote that really counts in America is when you vote with your cash. Support those that treat their employees and customers with respect, dignity and concern. If you don’t buy their product or service, these favorite children of the government (corporations) will cease to exist as an entity. Don’t purchase any GMO foods. Sir, these are straight forward applications of patent infringement, you cannot bring in your own bias on GMOs into these lawsuits, and neither can the supreme court. Furthermore these examples that you bring against Monsanto only work to show your hate for big business and do nothing to further your argument against GMOs, although be it a just one. You have cited zero sources and you should also note that their is a considerable and significant difference between biased data and a conflict of interest. You have an important argument here but you couldn’t take the time to support it and so all you managed to contribute is to further discredit the movement against GMOs. This is why we are losing. Pat, you make some good points with your input. Thank you for your valuable critique. Appreciate you making me aware of my shortcoming. I will try and rectify these deficiencies in future writing. Again Pat, thanks for taking the time.